What’s behind the enduring appeal of The Great Gatsby? The lives and dreams of its star-crossed lovers? Or the fact that it reads like a dream? 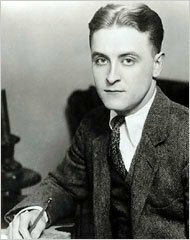 Reading it again, I was utterly entranced, such is F Scott Fitzgerald’s gift as a writer. He can show you beautiful people and places and make music with his words. I looked back at my cousin who began to ask me questions in her low, thrilling voice. It was the kind of voice that the ear follows up and down as if each speech is an arrangement of notes that will never be played again. Her face was sad and lovely with bright things in it, bright eyes and a bright passionate mouth—but there was an excitement in her voice that men who had cared for her found difficult to forget: a singing compulsion, a whispered “Listen,” a promise that she had done gay, exciting things just a while since and that there were gay, exciting things hovering in the next hour. The Great Gatsby is about money and class – and romance and aspirations, too. Jay Gatsby, the “Great Gatsby” of the title, is a self-made man whose past includes disappointment in love. He and Daisy were in love, but he went off to fight in the First World War, and then she married Tom. Gatsby can’t forget her. When they meet again, they are drawn to each other… with fatal consequences. Gatsby is a romantic hero, a tragic figure, but he is corrupt — a bootlegger with other shady dealings. He is an outsider. Celebrities flock to his parties, but society has not opened its doors to him. Only Nick and a few others attend his funeral. That’s what makes The Great Gatsby so special, a romance touching on dreams and aspirations that sometimes verges on poetry.